Cafés where people meet to share sporting experiences and reminisce through photos, film and familiar objects for people with dementia or memory loss. Connecting people and creating friendships to reduce social isolation and loneliness through a range of befriending approaches (one-to-one and online). Activity club for over 50s including baking, meditation, relaxation and chair yoga. Bright Memories is a Brightlife funded project to help reduce social isolation in people aged over 50 who are living with Dementia. Working with local businesses to promote awareness of isolation and secure donations, discounts and volunteering time to host activities and celebration events. Young people with learning difficulties will be supported to offer companionship and help with everyday tasks. Aimed at people in supported living as well as independent accommodation. Launching Spring 2018, a brand new cooking club for older people from minority backgrounds. Regular breakfast and lunch gatherings for socially isolated Farmers. Games, social interaction and a point of contact for help and support. Access to green spaces and spending time outdoors is fantastic for our wellbeing. ‘Great Outdoors Malpas’ project helped older people to access the countryside and reconnect with nature. A hands-on scheme to allow people aged 50+ to create attractive furniture from recycled timber to sell on to the public. 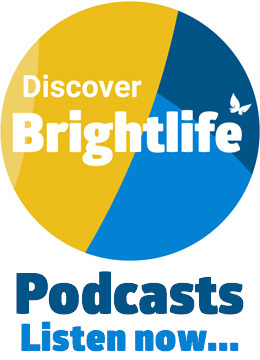 Providing business support and networking opportunities for all Brightlife’s commissioned services. Food share and buddying plus a monthly gathering for new friendships and a hot home-cooked meal with seated exercise and activities. Transport on request. Bespoke support for carers to help them reconnect with their community. A monthly club at Kanya Café Bar in Northwich for people who are experiencing hearing loss and would like to make new friends and take part in fun activities. Locating and engaging with individuals and helping them to become more connected through a range of digital technologies with group support or one-to-one buddies. Led by the Abbot’s Wood residents’ committee, volunteers from amongst the residents offer digital peer support to help others access digital technology. Chair based exercise groups with a social café facility based in Vicars Cross and Hoole. A friendly cooking club for older people from minority backgrounds. Starting April 2018. The expansion of a community run, volunteer-led lunch club at Flatt Lane and Stanney Grange Community Centres providing food, friendship and community support. Haylo Theatre is a two woman theatre company that create bespoke performances and workshops that initiate inter-generational conversations around difficult subjects, such as the impact of health upon individuals, families and communities. A friendly and supportive social group for anyone struggling to get back on their feet after losing someone or something important to them. Enjoy a breath of fresh air, stay active, make new friends, learn new skills or rediscover a love of gardening at this friendly club. Women’s woodwork classes for building confidence and resilience whilst creating connections, purpose, friendships and circles of support in the community. Outreach provision enabling socially isolated older people to access activities in the local area utilising a wheelchair-accessible, 16-seater community minibus. Bereavement counselling and activity groups where participants can create their own social groups. Creative camaraderie at a new theatre group working towards a performance at the 2019 Leverhulme Drama Festival. No acting experience necessary. A peer support group led by older people living with cancer. Friends meetings held in village halls will include activities and speakers. An activity programme for people aged 50+ who have recently retired or been made redundant. A mentoring project where women over 50 are paired up with women who need extra support. Providing individualised support through one-to-one volunteer buddies for anyone who would like to get out more but who may need a bit of support for the first few visits. A community club where people of all ages are made to feel welcome and share recipes, a love of cooking (or just a love of food!). A bespoke befriending service for older lonely, isolated or disabled people in Cheshire West and Chester led by the Royal Voluntary Service. A social network for older lesbian, gay, bisexual and trans people living in the borough. Weekly social group on Mondays for older people with learning disabilities. A range of activities and lunch will be provided. A horticultural project at the Countess of Chester Country Park starting in April 2018 for older people who have an interest in horticulture. A book club designed for over-50s with a long term disabling condition and their carers. (A collaboration between Neuro Muscular Centre, CCIL and CWCT). Run by trained volunteers in a variety of settings such as care homes, sheltered housing and community centres. A mentoring scheme for retired engineers to help young welding apprentices as well as free courses and workshops for anyone over 50 with an interest in construction. A Vicars Cross-based Film Club for anyone aged over 50 with an interest in film. Session includes a drink, raffle ticket and opportunities to meet people with shared interests. A one-to-one service providing advice and support to help people with sight loss reconnect with their community. A programme of cultural classes, visits and clubs (singing, art, calligraphy, creative writing, storytelling and dance) to help people reconnect with their community.